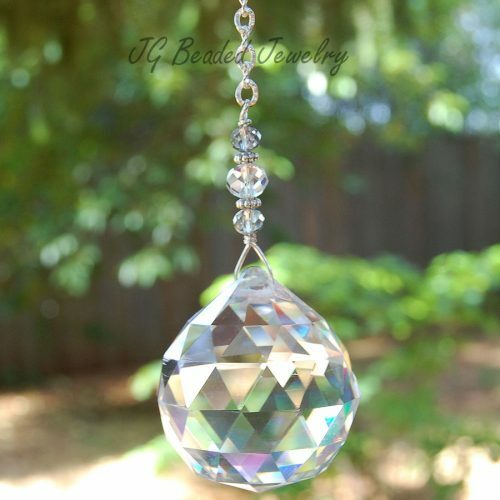 This prism crystal sun catcher can be hung on the rearview mirror or in a window! 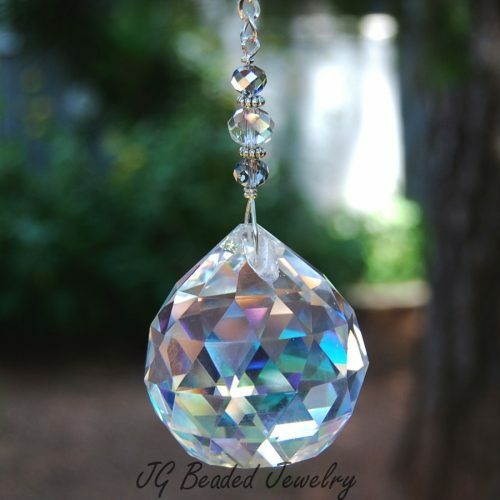 The crystal decoration is uniquely designed with a beautiful 20mm AB clear crystal (AB has an aurora borealis which assists in the rainbow effect when in direct sunlight). 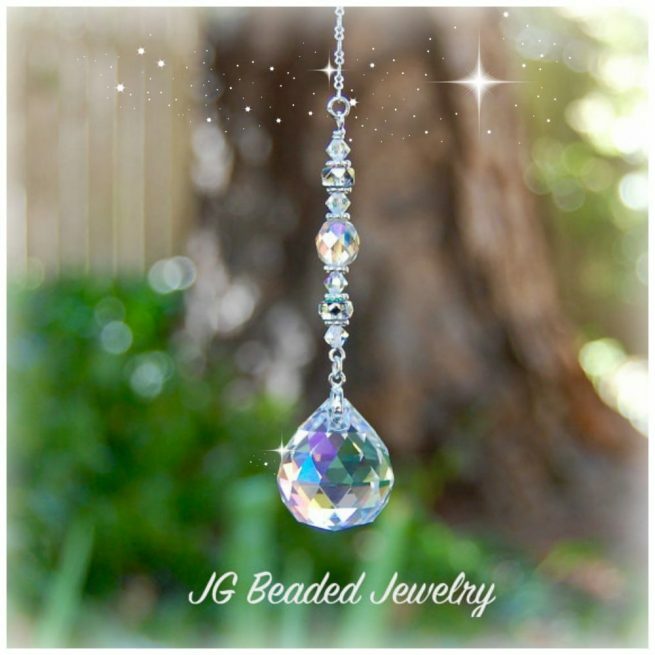 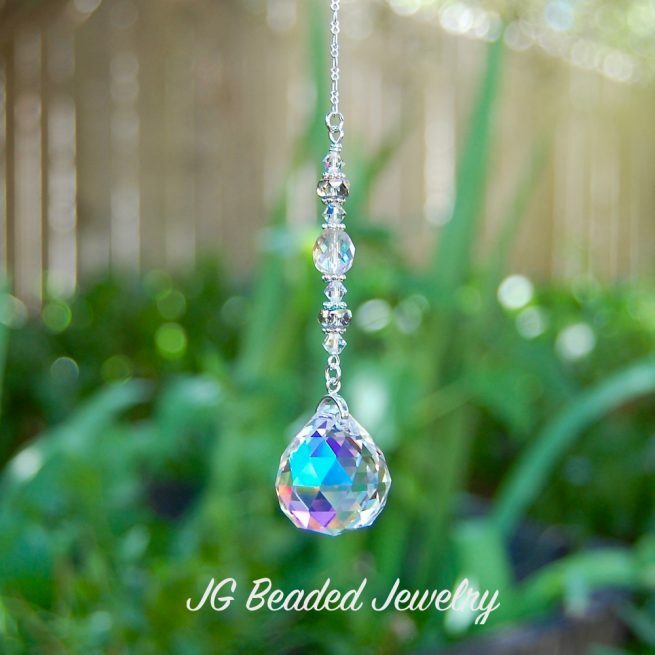 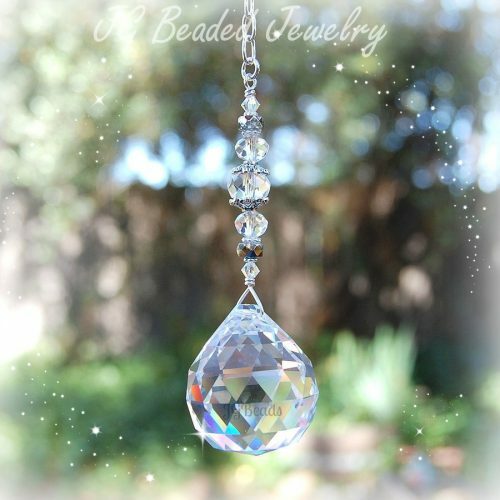 The prism crystal hangs securely on a silver bail and is wire wrapped by hand with iridescent Swarovski crystals, a faceted light topaz crystal bead in the middle, vitrail/clear faceted glass beads and fancy silver metal beads.